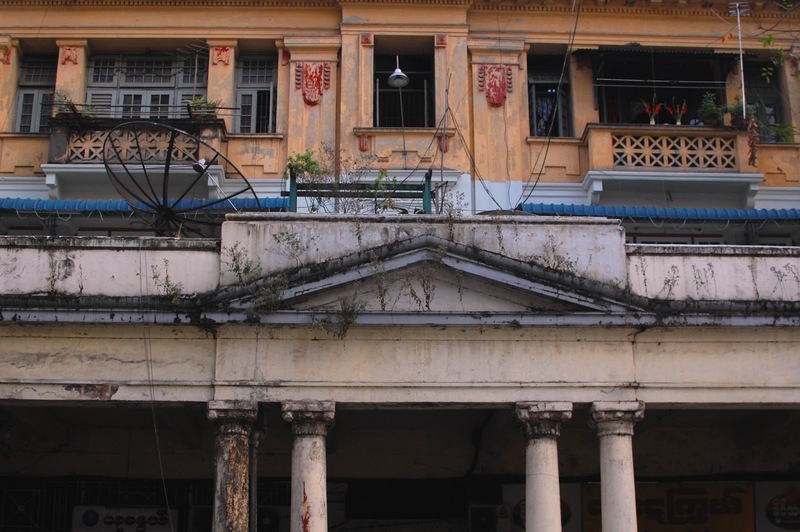 One of thousands of crumbling buildings in Myanmar's colonial capital. (The modern capital is a recently invented greenfield site in the interior of the country). 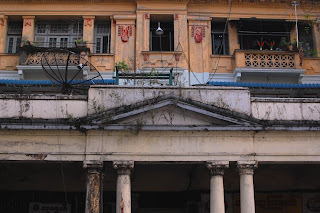 This three-story shop with residences above was built in the late 1800s or early 1900s, and has not been particularly well maintained since then. Plants grow wherever seeds can germinate, and there's evidence of structural problems. The most heartbreaking sights are grand estates owned by the government, occupying numerous city blocks, and falling apart through disuse.